5 Things is a column, written by PocketFives President and Editor in Chief Lance Bradley, that covers pressing topics and current events in the poker world today. It appears periodically at PocketFives.com. The final table of the $50,000 Poker Players Championship at the 2018 World Series of Poker had almost everything you’d want from that event. Michael Mizrachi going for an almost unbelievable third PPC title in nine years. John Hennigan looking to become the third player to win multi PPC titles. Dan Smith going for his first WSOP bracelet. The 2018 PPC saw just 87 players – the second lowest turnout in the history of the event and a far cry from the all-time high of 148. To the mixed game players who circle the dates of this event on the calendar every year, the Poker Players Championship is a big deal. Yet to those same players, it simply felt more like Event #33 and seemingly no more important or worth celebrating more than Event #8 ($2,500 Mixed Triple Draw Lowball) or Event #45 ($1,000 Big Blind Antes No Limite Hold’em 30 Minute Levels). It didn’t unnoticed by one of the event’s biggest advocates, David Baker. I’ve made this suggestion almost every yr. if @WSOP wants to make 50k PPC as special as it should be. Special start time, blocked off sections, food brought in, some incentive to start on time with a nice kickoff. Baker, who plays the event every year, isn’t wrong. Say what you will about former WSOP commissioner Jeffrey Pollack and his dubious place in poker history, but he understood what the PPC was – a significant event on the calendar and an opportunity for the WSOP to celebrate the best players in the game. Following the passing of Chip Reese, the first player to ever win the event, the WSOP created the Chip Reese Memorial Trophy and awarded it, along with the bracelet, to the winner of the event. In 2006, the first year after Reese’s death, players were invited to be part of the unveiling of the trophy along with a special “Shuffle Up and Deal”. Tables were set up to give players more space and give fans watching on the rail the understanding that this wasn’t just another tournament. This year there was nothing like that and it’s time that this event receives more celebration in the lead-up and more pomp and circumstance during the five days that it takes place each summer. Here are the Five Things the WSOP could do to give the Poker Players Championship its proper due. This seems like a low-cost no-brainer. The opening flights of the Main Event all have a special “Shuffle Up and Deal” announcement from a former champion or prominent player. There are nine former PPC Champions still with us. Having all of them on hand for the start of the tournament to welcome players and fans alike would add a special moment that only increases in importance each year. It also provides another opportunity to celebrate the first champ – Reese – and the trophy named for him. Poker as a spectator sport struggles at the best of times. The ESPN mothership at the WSOP provides stadium seating and a big-time event feel, but the first four days of the event play out like any other event. Creating an area inside the Amazon Room specifically for this event and allowing fans on the rail to be able to walk on the outside the cordoned off area is a vast improvement over what the event has now and gives them better access to some of the game’s best players. 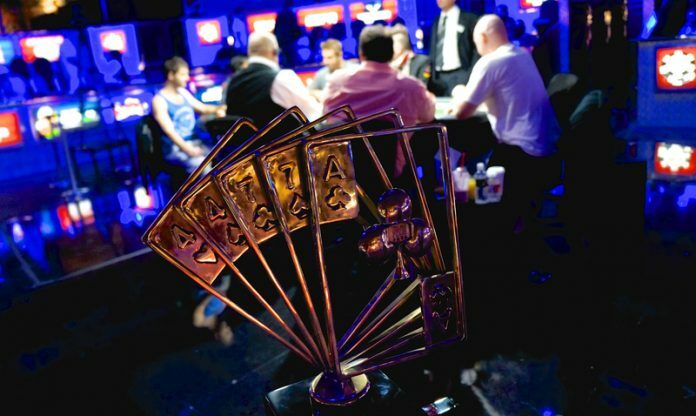 The event is played at six-handed tables. Using the largest PPC field in history (148 in 2007 and 2008), that means 25 tables would be in play. Putting an event-specific felt on each of those tables would give the players the feeling that they’re part of something special, not just another event. Choose a color other than green and it helps the fans on the rail understand that this event is different. This time last year, the PPC wasn’t livestreamed at all. PokerGO stepped up in a big, big way this year and gave fans not just the final table on PokerGO, but Day 4 coverage on Twitch. Let’s take it even further for 2019 and livestream this tournament from the beginning. PokerGO producers would be able to choose which of poker’s biggest stars – the ratings draws – were featured early and the fans benefit. It also allows viewers at home the chance to see the opening ceremony, the fan-friendly setup and the unique look and feel offered by the special felt. This is the hardest of the five by far, but if WSOP executives can make the first four items happen, the fifth one becomes easier. The Poker Players Championship presented by … works so long as that sponsor not only puts money into the WSOP’s coffers but adds value for the players as well. Even if it’s $50,000 so that the winner gets a freeroll the next year, it’s a start down a path many players have hoped poker would take for a long time.